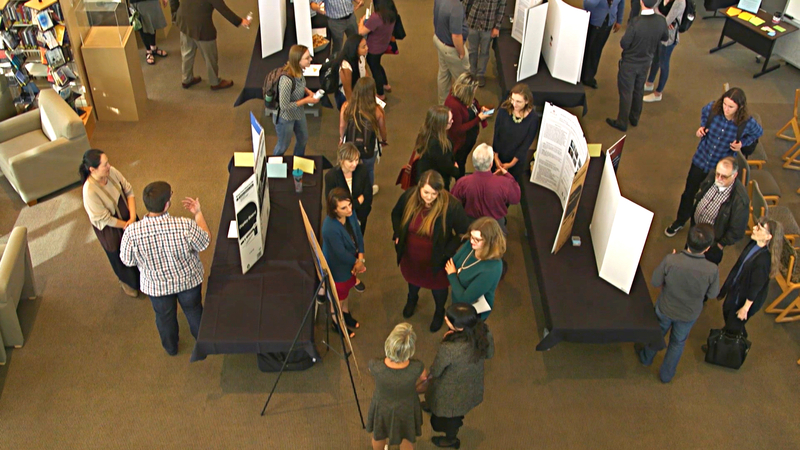 Join us for our second annual Celebration of Scholarship & Research (CSR) where we will have over 40 poster presentations (opens Piktochart in a new tab) from students, faculty and staff from a variety of disciplines. We will also have a faculty panel sharing about the research process, round table discussions and raffle prizes. The CSR emphasizes the role of research as a community-based learning experience. Whether you are presenting a poster, participating in a round table discussion or attending the event, we hope this will be a time of discovering collaborative opportunities and celebration! The Celebration of Scholarship and Research (CSR) is a chance to share your research with the Biola community. To participate, please complete the CSR application by Friday, February 1, 2019. You will receive notification regarding application status by February 15, 2019. If you are presenting in a group, please select one person from the group to submit the application. If you are a student or recent alum you will need to share your presentation with a Biola faculty member for approval prior to submission. What kind of research is needed? The work needs to forward knowledge in the field in a distinct way. Not just a synthesis of existing research, but a synthesis that moves an idea forward with a new conceptual contribution. How recent does my research need to be? If I am presenting with others, does each person need to submit an application? No, each person does not need to submit an application. Only one person per group/presentation needs to submit the application.